Do you love wearing black? If you appreciate the modern, classy, sophisticated quality of black, then Onyx is the gemstone for you. 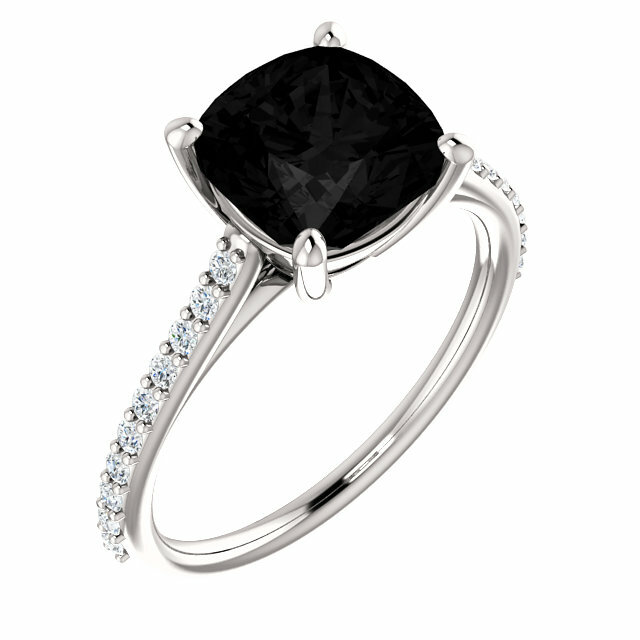 Onyx takes black to a whole new level of chic simplicity. Onyx looks beautiful in both sterling silver, gold and white gold mountings�there is nothing that clashes with black. The beauty of Onyx gemstone jewelry is that it can be a striking statement piece or a more demure accent accessory because black has the ability to be both bold and modest. Because of its versatility and ability to be worn with anything, Onyx gemstone jewelry is a great investment in a piece of jewelry that you will wear continuously. How do you feel about the purported mystical qualities attributed to gemstones? Many ancient cultures wore Onyx as a protective talisman to ward off negative energy and to reduce stress. If you appreciate these traditions, then we invite you to check out an Onyx ring for its magical powers and positive spiritual benefits. If you think that this is all a bunch of hogwash, then just think of it as gorgeous jewelry and nothing more. Either way, there is nobody who wouldn�t love a stunning Onyx ring, whether set in Sterling Silver, 14 Karat Yellow Gold and why not just throw in a few diamond accents as the icing on the cake. Do you have any blouses that are just hard to accessorize? Whether it�s because of a unique color, pattern or style, there are just some tops that seems to clash with all necklaces. 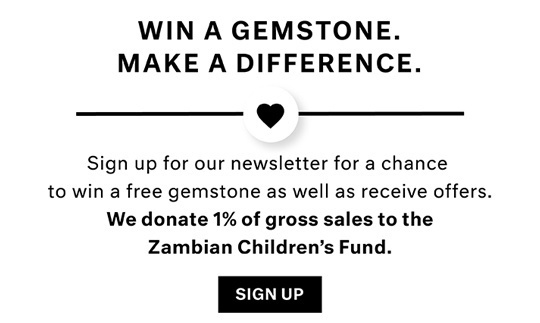 The solution to this problem is the Onyx pendant. 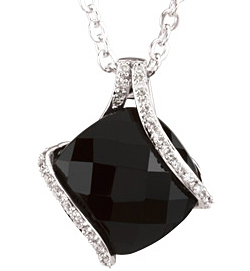 With a stunning neutral black color, an Onyx pendant will no doubt be a great accessory for any clothing ensemble. Browse through our complete selection of Onyx pendants featuring many styles in sterling silver and yellow gold. 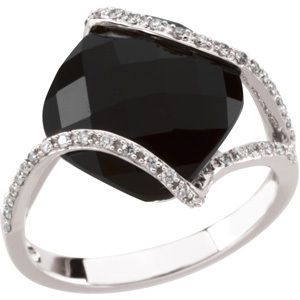 Don�t forget that we offer FREE Shipping on all Onyx jewelry. If you love Onyx as much as we do then you will probably do cartwheels when you see our amazing array of gorgeous Onyx earrings. 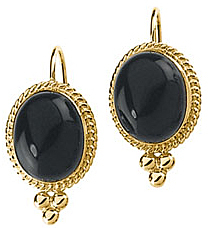 Is there anything sweeter to the ears than Onyx earrings? Well, the only thing better than Onyx earrings is an entire set of Onyx jewelry featuring matching Onyx rings, pendants and earrings�and you save 15% on the entire set!